As it does with every major flagship and smartwatch release, Samsung has just sent out a press invite for the Galaxy S9's unveiling. 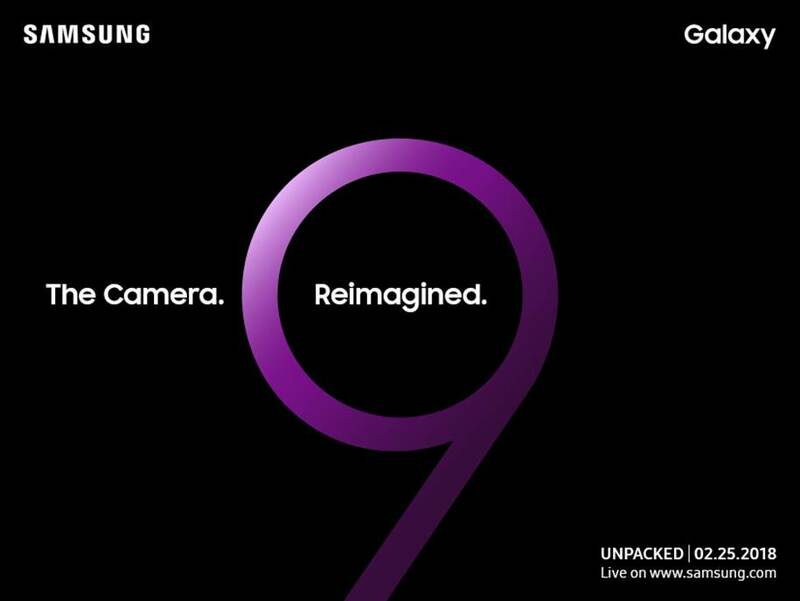 You'll note that the invitation doesn't explicitly mention the S9, but given the gigantic purple "9," it's safe to say we know what Samsung will be taking the wraps off of. The event is scheduled for February 25th, a little over a month away. "The Camera. Reimagined." is the slogan that the company has chosen to go with, and from that, it's not difficult to tell that Samsung is incorporating some sort of new camera technology into the S9 series. From a leak of the phone's packaging earlier this month, we're fairly certain the S9 will feature a 'Super Speed' camera with variable apertures, as well as a 'Super Slow-mo' feature. Samsung hasn't made any significant strides in the camera department for a few iterations, but it looks like that's about to change. As usual, you'll be able to tune into all the fun at samsung.com. We can hope that there won't be any significant interruptions in the stream, but that's proven difficult in the past.